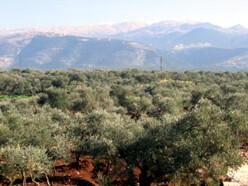 Willani was built in Bechennine, Zawieh-Zgharta, North Lebanon, in the plain of olive trees in Koura and Zawieh-Zgharta which comprises 50% of olive trees in Lebanon. After storage, the oil tanks are closed by stainless pipes leading to the filter machine then to the new packaging line that our company owns. This oil is filled in dark opaque bottles and in metallic refills to protect it from light and to preserve its quality in the best possible way. After that, this oil is sold in consummative markets under two registered trademarks relevant to the company: HIRAM and OLIVAZERTA. Extra Virgin Olive Oil is produced by top of line presses at the Willani Company that sees to the respect of international quality standards. Willani also produces all types of oil derivatives. The company aims though its interest in olive oil at ameliorating this sector in our area and at raising the level of workers and that is by pressuring scientific orientation to improve the production and to help in its selling and marketing. 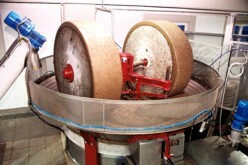 After squeezing the olives and extracting oil from it, the company stores its product of Extra Virgin olive oil in stainless steel tanks to maintain its specifications and its quality. That is in isolated places and under a fixed degree of temperature not exceeding 20° Celsius.